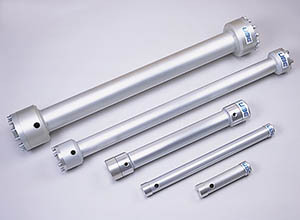 We broaden the foundation for industry and daily life with products such as nylon resin for engineering plastics, polybutadiene rubber, electrolytes and separators for lithium-ion batteries, gas separation membranes and other advanced materials, fine chemical products designed as environmentally friendly, and Pharmaceutical business consisting of drug discovery and contract manufacturing. 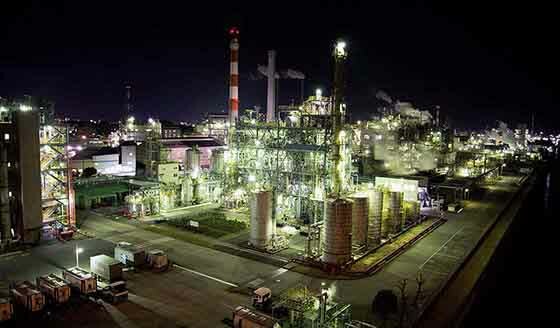 UBE’s synthetic rubber business manufactures and sells polybutadiene rubber (BR), which is one of typical rubbers and polymerized with a cobalt catalyst. In order to meet the needs of sophisticated and diversified customers, we have a wealth of grades that can be used for all purposes with high quality. Caprolactam is a raw material for nylon 6 fiber and nylon 6 resin. Since our company started mass production in 1951, we continue to supply high-quality caprolactam in a stable manner. We manufacture various industrial chemicals such as liquidity, nitric acid and oxalic acid. We sell liquefied gases such as liquefied carbonic acid and liquid nitrogen. Polyimide resin combining high heat resistance, chemical resistance, etc. is widely adopted for electronic equipment and so on. 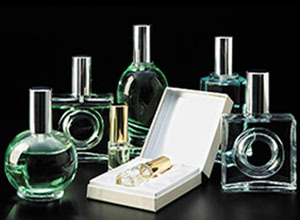 Films, varnishes and many other products are available. "separator" and "electrolyte" which are the main members of lithium-ion batteries. As a global manufacturer of dielectric ceramics, our company offers a wide range of high performance and low price products. Gas separation membrane which uses polyimide hollow fiber and efficiently extracts a specific gas from the mixed gas. We also manufacture membrane dryers that remove moisture in the air. Fine chemical such as high performance coating material such as polycarbonate diol (PCD) which improves the durability and texture of urethane resin. UBE's silicon nitride is a high grade powder produced using proprietary imide pyrolysis method. It has optimum characteristics required for raw material powder, and it can control microstructure, so high sintered body characteristics can be obtained. As a feature of phosphor, we introduce raw Oxynitride Phosphor and Oxide Phosphor. High purity chemical such as dry etching gas and wet cleaning material used in semiconductor manufacturing process. Developed using UBE's unique technology, Tyranno Fiber is a continuous ceramic fiber composed of silicon, metal (titanium, zirconium or aluminum), carbon, and oxygen. Fine ceramic is a material now getting a lot of attention from different areas, thanks to outstanding properties that include hardness, as well as high temperature, oxidation, and chemical resistance. 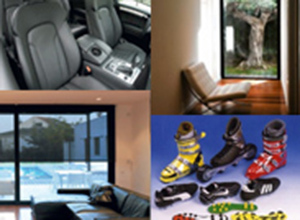 UBE offers a wide range of polyurethanes, polycarbonate diols and related materials for coatings, adhesives, sealants and elastomers markets, which are large platforms of solutions offering customizable possibilities in terms of reactivity, flexibility and physical form. Compared to standard polyols-based materials, UBE’s solutions demonstrate superior and long-term retention of performance such as oil resistance, hydrolytic stability, thermal stability, weatherability and chemical resistance. The pharmaceutical business based on UBE's organic synthesis technology is involved in the drug discovery that develops the drug substance and the manufacture of the drug substance for manufacturing the drug substance.